What I saw a running through those vacuum tubes when I first started my work was only blood and tissue, unformed and messy. It was easy to imagine the fetus as a bunch of cells that one could define as one wished. But even in the beginning I had an inkling that this mentality was the easy way out, that it didn’t go far enough to do justice to the experience of abortion. In an early abortion, the baby might be completely torn apart and leave no recognizable parts behind. Even in a slightly later abortion, the remains have to be carefully examined to see the baby’s body parts, as he or she is still very tiny. Hoffman knows that the “unformed” tissue she saw had significance beyond its appearance. Whatever he or she looks like, the preborn baby is still a human being in an early stage of development. A person is a person from the moment of his or her creation at conception. Previously, there are two cells, each with half the chromosomes that will make up a person. Afterwards, there is a whole new living organism that develops rapidly. Even though Hoffman intended to make a living providing abortions, the quote reveals she knew that dismissing the fetus as a “bunch of cells” is dishonest. At just 21 days, a preborn baby’s heart begins to beat. Very few abortions take place before this time. “Blood and tissue” does not have a heartbeat. 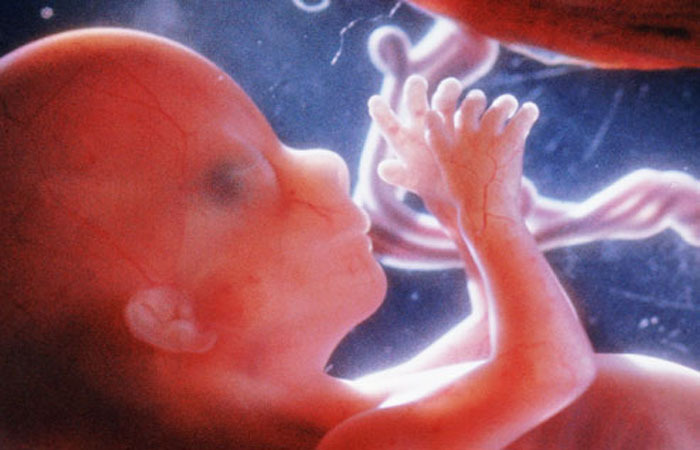 At just 40 days, still before the time when most abortions take place, the preborn baby has brain waves. In fact, at just three weeks, the brain has divided into three sections and is already developing into the complex brain of an older child or adult. “Blood and tissue” do not have a functioning brain. As for “clump of cells,” all human beings are essentially “clumps of cells.” We are just different looking clumps of cells throughout our lifespan. Hoffman ran her clinic for many years. Although she admits that a preborn baby can’t be dismissed as easily as most pro-abortion activists do, she never let that dampen her enthusiasm for providing abortions.